Recson is the online data administration system of Victura, Switzerland's leading company in professional voicemail greetings on fixed line and mobile. Every voicemail greeting is customized including company name, first name and last name, and is read and recorded by a professional voice actor in our top-notch studio. More information and demo material can be found on www.recson.com. The Recson app enables you to program and activate your professional voicemail greeting for a particular date within seconds, according to your current situation and its duration (meeting, absence, holiday, etc.). You can even integrate your deputy's number. Currently, Recson is compatible with the following mobile providers: Swisscom, Sunrise, Salt, UPC, 1&1, Blau.de, Congstar, O2, T-Mobile, Vodafone. More providers available on request. If you're looking for an expert partner in telephone systems or voicemail, please contact us. This greeting is enabled at all times when there is no particular reason of absence. The caller may leave a message and will be called back by you within a reasonable span of time. This type of greeting is used if you are out of office for a few days and do not want to leave the number of a deputy. You can enter the exact date of return. The caller may leave a message and gets the information that he is unlikely to receive a response before said date. At the day of your return, the out of office greeting is automatically replaced by your default greeting. If you can't be contacted for one or several days and you would like to leave a deputy's number, you use this function. You can enter the exact date of return. The caller may leave a message and gets the information that he is unlikely to receive a response before said date. If the caller is unwilling to wait, he or she has the opportunity to contact your deputy. At the day of your return, the out of office greeting is automatically replaced by your default greeting. 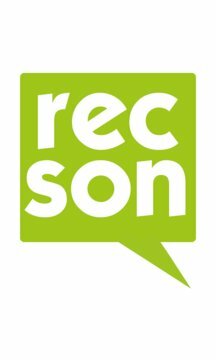 Recson is NOT based on a text-to-speech system (readout function). A professional voice actor will read company name, first name and last name particularly for you in our recording and production studio.